Last month saw the 17th annual remembrance demonstration for all those who have died in police, prison, immigration and psychiatric detention in Britain. Each year, the United Families and Friends Campaign welcomes new families calling for justice for their loved ones who have died in detention. This year, marching for the first time was the family of Sheku Bayoh, originally from Sierra Leone, who died after being arrested and restrained by police officers in Kirkcaldy, Scotland, in May. Allegations have been made by a family member that one of officers involved had previously expressed racist views about black people. In a report published today by the Runnymede Trust, the UK’s leading think tank on race equality, the spotlight is turned on the role that racism plays not only in leading to the deaths of overwhelmingly black and minority ethnic people in custody, but also in obstructing accountability of those responsible. Also marching, for the fifth year, was the family of Jimmy Mubenga, killed while being deported by plane from the UK in October 2010. His case illustrates how racism not only plays a role in bringing about the deaths of black and minority ethnic persons in custody, but also how the legal system’s denial of the relevance of racism obstructs accountability of those responsible. Last year three former G4S guards (Detention and Custody Officers) were acquitted of Mubenga’s manslaughter. Several passengers on his flight reported having heard him say ‘I can’t breathe’ shortly before he died while being restrained. 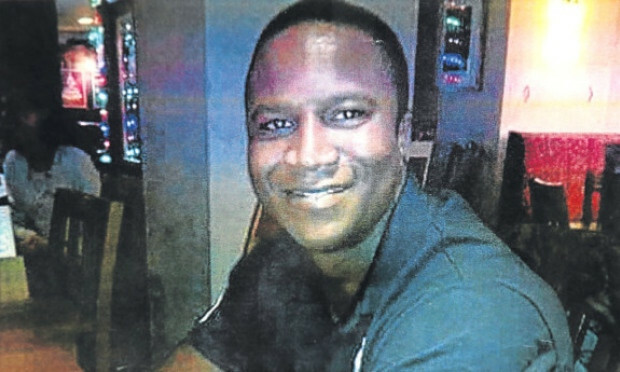 Mubenga’s case provides a crucial lesson to those carrying out the investigation into the death of Sheku Bayoh and those who might be involved, should officers be prosecuted in relation to his death. Mubenga’s death is one of more than 500 since 1991 in which a black or minority ethnic person has died as a result of interaction with police, prison or immigration officers or private companies operating on behalf of the state. There has not been a single conviction. A consequence of the courts’ denial of the relevance of racism is the perpetuation of its violent consequences for racialised minorities along with their deepening mistrust of the legal system and doubts about its capacity to deliver justice. When it came to the manslaughter trial of the three former G4S guards involved, the judge refused to allow crucial evidence to be heard by the jury. This included evidence relating to the continued use of a banned restraint technique which obstructed breathing, that of ‘Carpet Karaoke’. According to the coroner’s report, this is a ‘technique adopted for controlling disruptive deportees in an aircraft seat. It comprised pushing a deportee’s head downwards so that any noise that he or she made would be projected towards the floor (‘singing to the carpet’) rather than through the plane which could upset passengers or cause the captain to require disembarkation (so aborting the removal)’. Also withheld from the jury was the ‘unlawful killing’ verdict of the inquest jury, the findings and recommendations of the coroner’s report and, critically, evidence relating to racist text messages found on the mobile phones of two of the guards who restrained Mubenga. The judge had the discretion to allow the admission of evidence relating to ‘reprehensible conduct’ by the defendants if it appeared to be important in helping the jury to understand the evidence as a whole or to counter defence claims of good character. Despite this, the judge insisted that allowing the evidence relating to the racist messages to be heard would be prejudicial to the defendants and prevent a fair trial. The position of the trial judge was contrary to that adopted by the coroner, Karon Monaghan QC, at the inquest, who had attached a high degree of significance to the evidence relating to the racist text messages, arguing that they ‘were not evidence of a couple of “rotten apples” but rather seemed to evidence a more pervasive racism within G4S’. She concluded: ‘It seems unlikely that endemic racism would not impact at all on service provision’. The presence of widespread racism within G4S created the ‘the possibility that such racism might find reflection in race-based antipathy towards detainees and deportees and that in turn might manifest itself in inappropriate treatment of them’. As Frances Webber has observed in the Guardian, the trial judge’s decision to exclude this evidence ‘prevented the jury from contextualising or properly weighing the evidence the guards gave of their respectful, professional treatment of Mubenga’. Oh, what do you know about it? Because you tell 19 year old kids what to think in a lecture theatre, you think you have some special insight into the realities of restraining violent prisoners? Go back to the junior common room. Does anyone know how many white folk died in custody or on the street since 1950 or were severely injured. Nah figures not available. Lawyers just sit around for non whites to get caught up in criminal activity and play the race card. During pre and post war white people actually tripped at the top of the stairs in police stations and accidentally hit a truncheon at the bottom. Their laces were loose yer honor. I think people are trying to make this a race issue, more attempts at division in society. Its an issue with apprehending often violent criminals. More than 500 people have died AS A RESULT of interaction or FOLLOWING interaction. Blacks are now 12% of London’s population, (which is a crime in itself), but account for over 60% of violent crime. I’m surprised that so few have died in such a long period of time.